This should be my lesson to NEVER pull a weed without gloves on my hands. If there is one weed we need to learn how to identify, it stinging nettle. OMG! But it was in my prized exhibition mini and miniflora raised bed and I don’t want weeds there. Right. 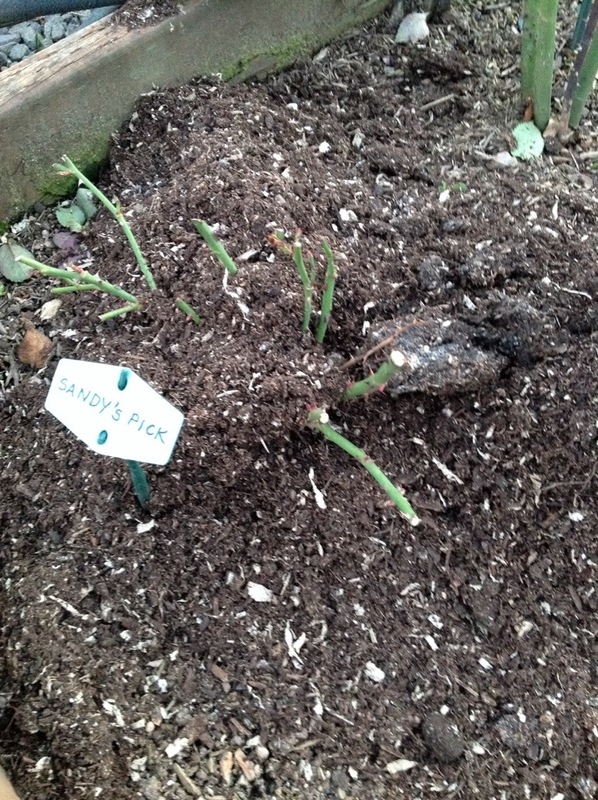 But then… I decided to deadhead roses. 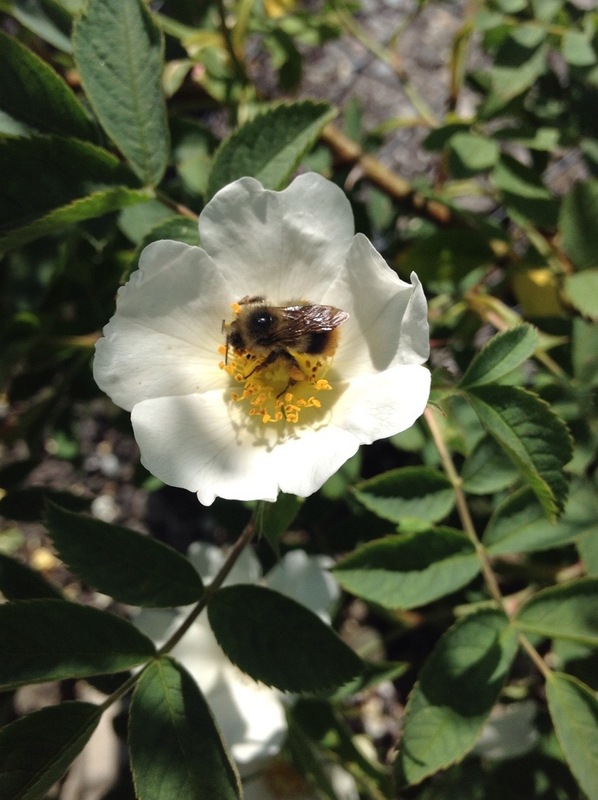 Yes somewhere along the way a bee decided he did not like what I was doing… Enough gardening for today. I am indoors nursing my owies! 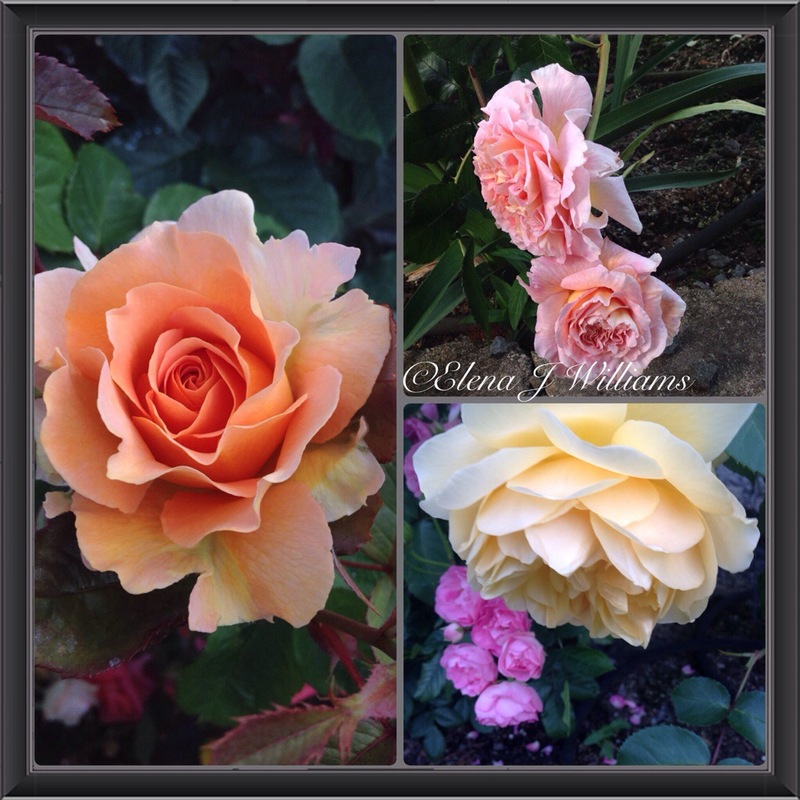 The first flush of roses is well underway here in the (finally) sunny State of Washington. It is the dry season now. Our weather has been between 55 to 70 degrees, but when the next water bill arrives you will hear me scream all across the USA! The weather forecasters are showing a huge Arctic cold mass descending through Canada into the Northern USA this week. So cold, I can hardly believe that will happen in my garden, not more than 25 ft above sea level but very near the Sound. But zone 8b officially can get down to 10 to 20 degrees F. I just have not experienced that here, yet. 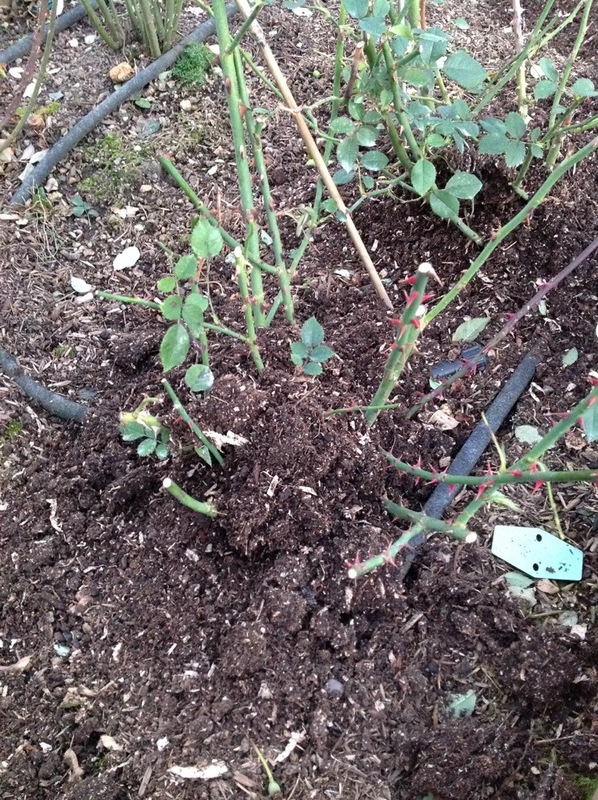 Today I went into panic mode and decided that my beloved roses needed some protection, so I bought two 3.2 cubic ft. bales of Black Gold (the regional organic soil amendment) and just got in from mounding three mini/miniflora beds, four standard tree roses plus about four other roses that have only been in the ground since October. I really could have used two more bales but while everyone else was scurrying around Fred Myers with Christmas gifts, I was wrestling with putting two bales of Black Gold in my cart. We all have our priorities. ‘Serendipity’ another Dr.Griffin Buck creation the just won’t give up. Downton Abbey Fans Rejoice! Roses to be named for the popular TV series! Downton Abbey Fans Rejoice! 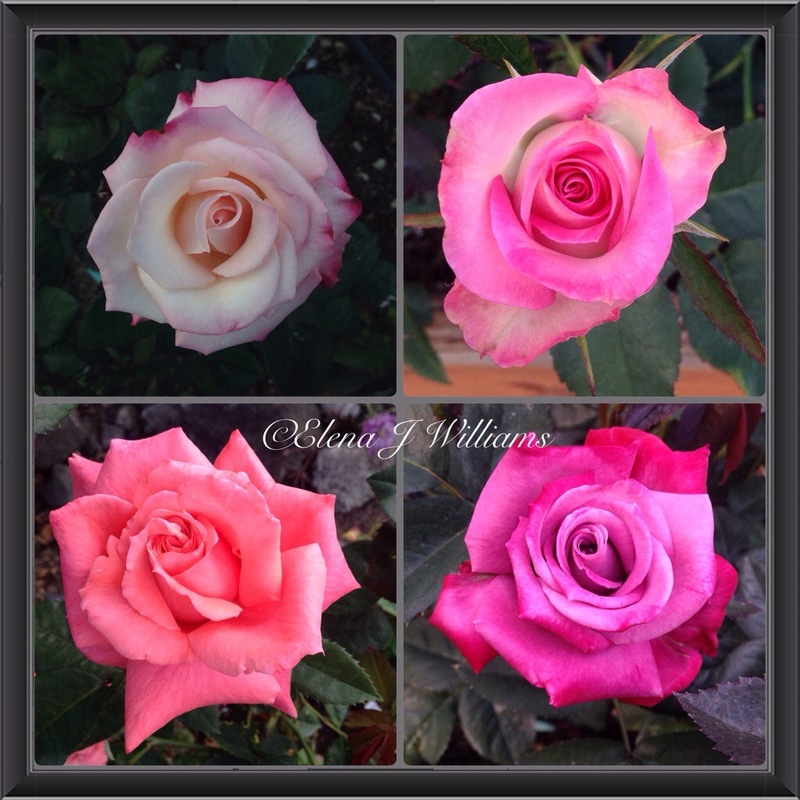 Roses to be named for the popular TV series!.